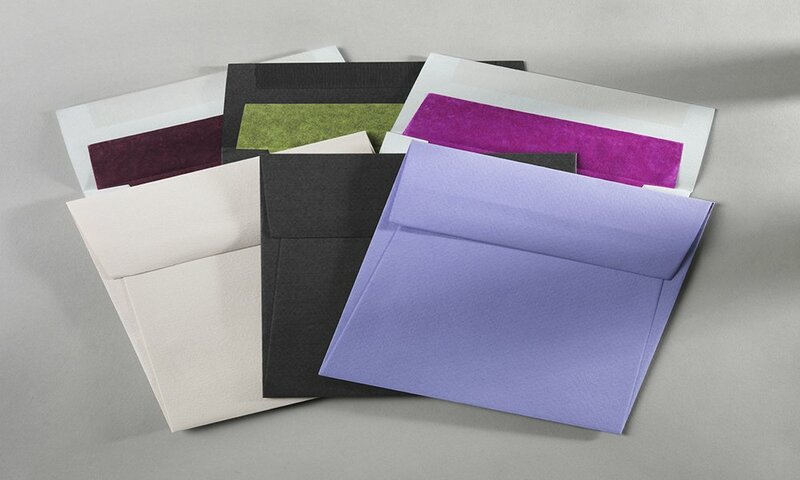 Make a lasting first impression with a custom tissue lined envelope, which are finished by hand in our London factory. 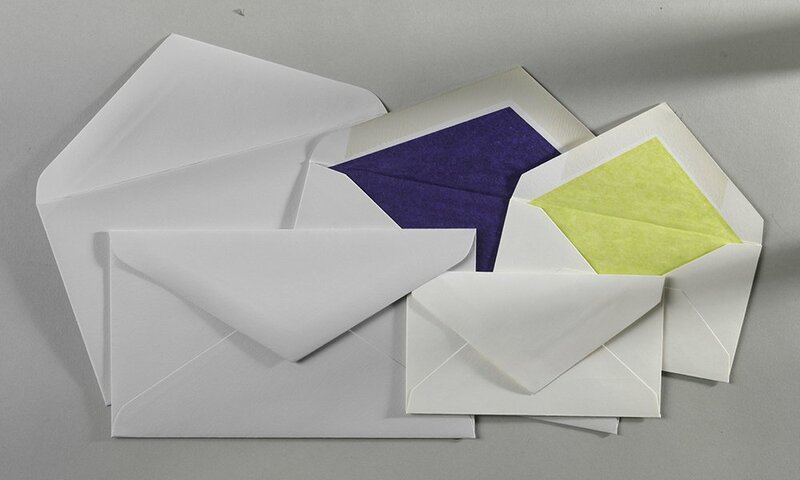 Here at Baddeley Brothers we take pride in manufacturing the highest quality envelopes. 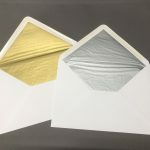 We combine many years of experience with our wealth of technical knowledge to confidently provide the best luxury envelopes to meet your individual needs. Size: We are able to work to any size you require. 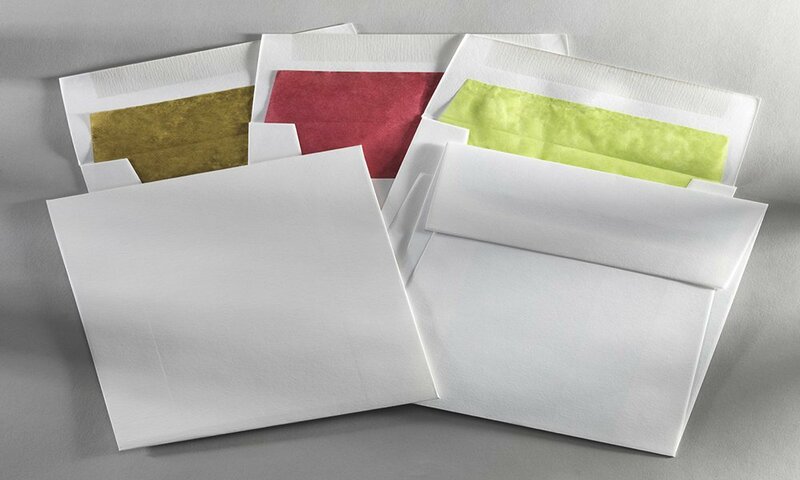 Colour: We have a vast assortment of colours and are confident we can meet your colour needs for the envelope and its lining. 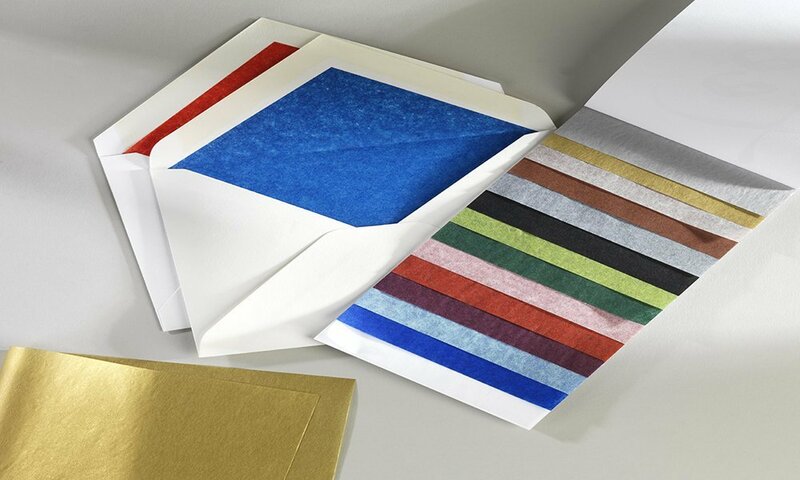 Material: We have a wide selection of material and weighting options available though anything less than 170gsm is most likely. 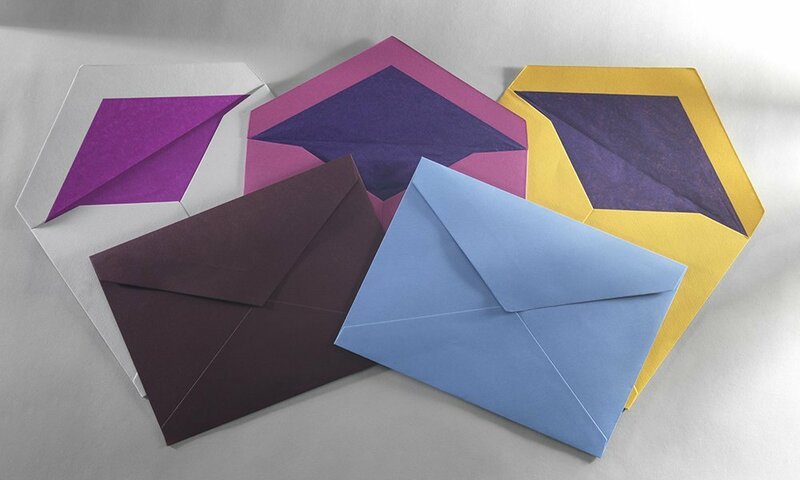 Style: The style of flap we offer for our tissue lined envelopes are tuck, diamond or wallet. 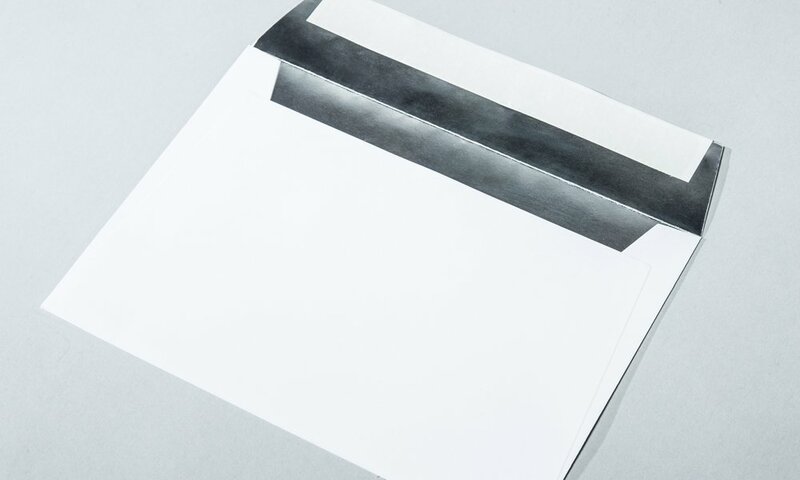 It can be gummed, ungummed, string and washer or peel and stick. Depending on specification we offer short delivery times for all our envelopes, delivery is via our driver if in London or fully tracked by carrier elsewhere. 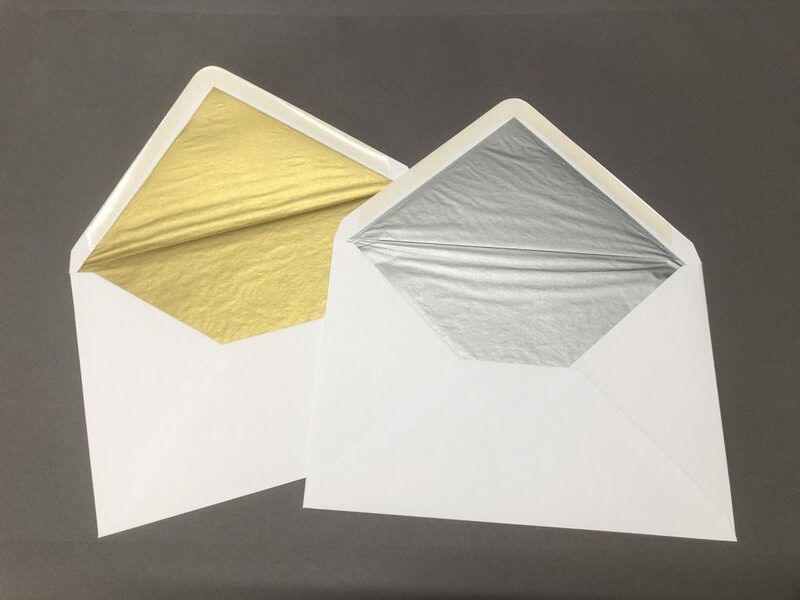 We are also happy to match you envelopes with a paper stock for example, with your invitations please click here to find out more. Or, if you would like a free sample then do get in touch and we will happily send you a taster of what we have on offer.